 “中核兰州铀浓缩有限公司 [CNNC Lanzhou Uranium Enrichment Company, Ltd.],” China National Nuclear Corporation, http://cnnc.chinahr.com. David Albright and Corey Hinderstein, “Chinese Military Plutonium and Highly Enriched Uranium Inventories,” Institute for Science and International Studies, 30 June 2005, www.isis-online.org. Mark Hibbs, “With More Russian Centrifuges, China Will Close Lanzhou Plant,” Nuclear Fuel, 6 October 1997, www.lexis-nexis.com and Oleg Bukharin, “Understanding Russia's Uranium Enrichment Complex,” Science and Global Security, 12:193–218, 2004, http://meaimyvik.info. 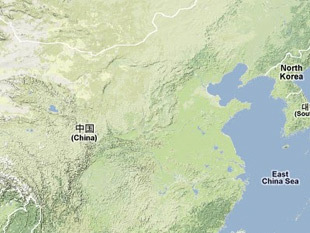 Mark Hibbs, “China Moved Centrifuge Complex to Keep Enriching U at Lanzhou,” Nuclear Fuel, 17 May 1999, www.lexis-nexis.com. Pavel Podvig, “China is Believed to Operate Indigenous Enrichment Plant,” International Panel on Fissile Materials Blog, 25 October 2010, www.fissilematerials.org.